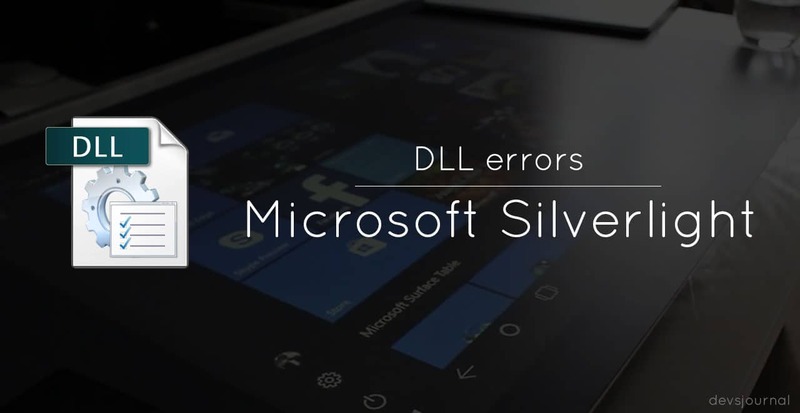 Different Microsoft Silverlight DLL errors, error codes and how to solve them. Microsoft Silverlight remains one of the more productive application framework required for running and writing rich internet applications. Silverlight also enhances and improves media experience on the web for the average user. Developers on the other hand can add a wider array of functionality to the application. From time to time, Microsoft Silverlight may develop or cause errors to appear when an application associated with the framework is being launched or in use. These most common of these errors carry a code. Today, we look at a couple of these and the best ways to tackle these errors to get back on track with your business. Microsoft Silverlight may throw up a number of DLL errors in the cause of its running or due to its inability to find necessary resources rewired for the effective functioning of the software and plug-in. More often than not, users will face the Silverlight.configurationUI.dll error as well as the Agcore.dll errors. The error may be displayed as “Silverlight can’t start because msvbvm50.dll is missing from your computer. Reinstalling the program may…” or “Error – msvbvm50.dll not found”. Irrespective of the way the error is presented, the main implication is the fact that the necessary DLL file is not available on your PC. Search for the appropriate msvbvm50.dll. 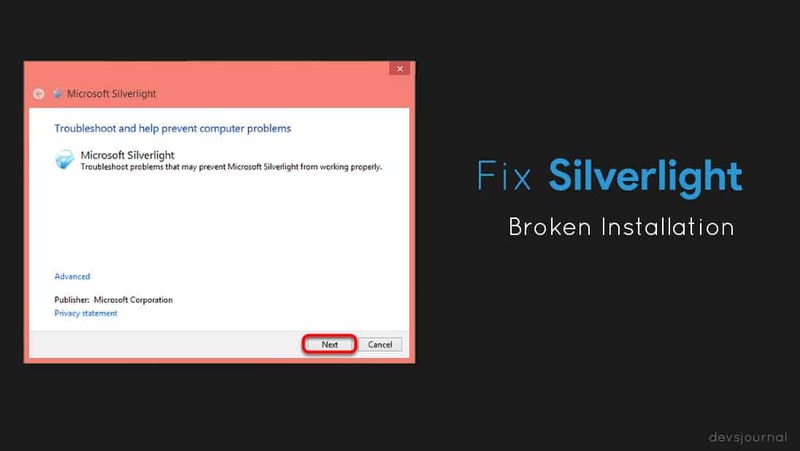 Restart your PC and retry the process associated with Silverlight. To start with, try to deactivate and reactivate the plug-in as the service may simply be malfunctioning. To do this, simply type in about:plugins into the web address bar and hit the enter key. Once the list of plug-ins populate, disable the Silverlight plug in, restart your browser and re-enable the plug in. Next, you should try to remove the existing Microsoft Silverlight plug-in and reinstall it. You can start by navigating to the control panel and selecting programs and features, look for the Microsoft Silverlight plug-in and uninstall it. Follow the instructions detailed in the uninstall wizard and reboot your PC afterwards. Reinstall the plug-in when you’re done and test to see whether the problem is gone. If you’re still experiencing crashes while using the Microsoft Silverlight plug-in, the next line of action is to clear cookies and cache. These files are essential for faster loading of frequently visited pages but can become corrupted over time. To do this, you will need to access the internet settings. Press the Win + R keys to pull up the Run command box. Once it has opened up, enter “inetcpl.cpl” click Ok and wait for the internet options dialog box to pop-up. Select the general tab and click the “delete” button that you will find under the browsing history section. There will be a prompt to confirm the action, make sure you select and tick all the checkboxes and then proceed to press the delete button. This will clear all your cookies and cache. Hardware acceleration is a feature that utilizes the power of computer hardware to speed up tasks. 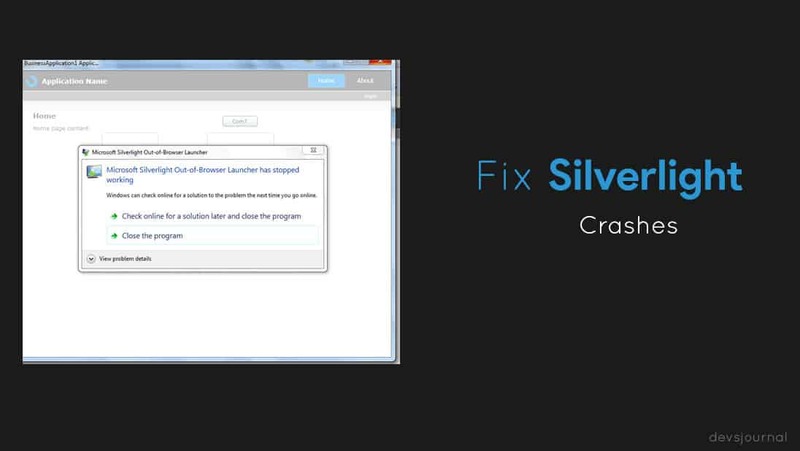 Disabling hardware acceleration can stop crashes in Microsoft Silverlight. To do this, open Mozilla Firefox and navigate to the tools menu. Select options from the menu and the click the advanced tab. Under the general tab, deselect the box that states “use hardware acceleration when available” under the browsing frame. Click OK button and retry. Depending on the browser you use, you may simply need to head to the about menu and click check for updates to query, download and install the available updates. Latest updates may come with bug fixes that will prevent the app from crashing. Corrupt download or incomplete installation of Microsoft Silverlight software. Corruption in Windows registry from a recent Microsoft Silverlight-related software change (install or uninstall). Virus or malware infection that has corrupted Windows system files or Microsoft Silverlight-related program files. Another program maliciously or mistakenly deleted Microsoft Silverlight-related files. In order to fix this error, performing a Microsoft easy fix of corrupted or broken Silverlight installation. Go to this article and click on the “Download” button. It will download a Silverlight registry fix. It will detect the problem and automatically replace the corrupted files with new ones online from Microsoft’s server.